It was very positive and they exceeded my expectations. The actual price was actually a lot less than the quoted price. The guys who worked that day were excellent. They took the furniture apart and set it up in the new house. I was very happy with the job. I have told people that they are the way to go. Instead of getting a storage unit, I would definitely do that again. At that point, I didn't have to get into the storage, which is why I chose them. They are reasonable and I felt that my belongings were very safe there. It was easy to call and get my things out when I needed them. I would tell them to call them immediately. The two guys showed up on time, they got things done, and nothing got broken. I had a couple of scratches, but that is okay. The price was good and the guys were very professional. It was done in good time. 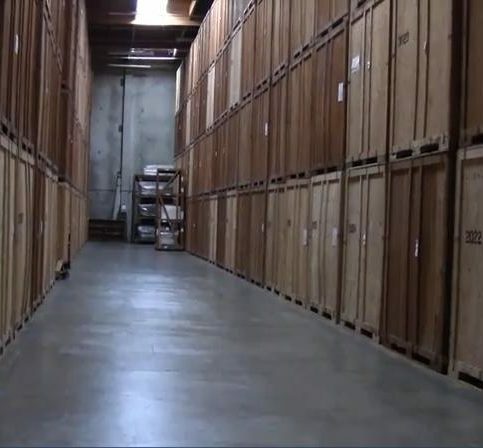 Santa Rosa Moving & Storage provides local and long distance moving services for residential and commercial clients throughout the Bay Area and beyond. 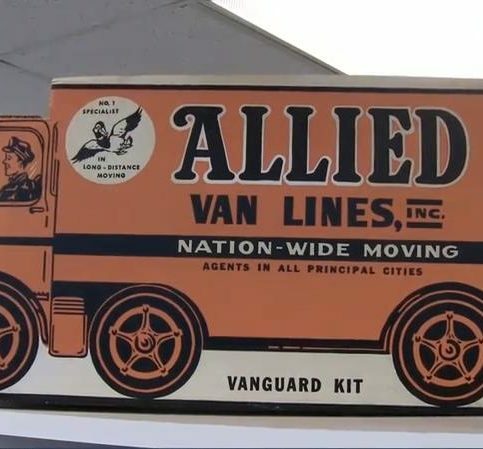 As an agent for Allied Van Lines, Inc., the company has the resources to move clients anywhere in the world. 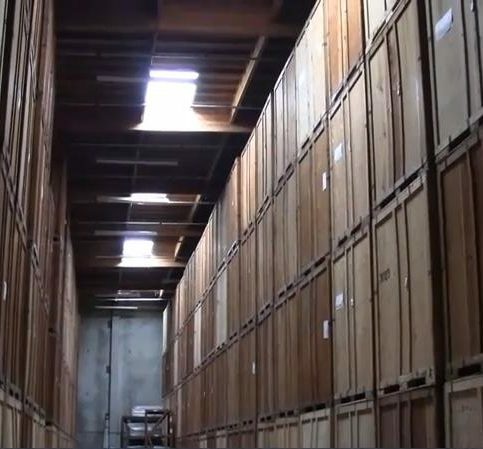 It also offers long- and short-term storage at its 24,000-square-foot Rohnert Park warehouse, which is monitored 24/7 and protected by sprinkler systems. Santa Rosa Moving & Storage’s residential moving experts are trained to deliver clients’ valued possessions safely, on time and on budget. Professional packing and crating ensures everything arrives intact, from delicate glassware to home electronics. If clients need to move their offices, downtime is minimized through extensive pre-planning, scheduling and use of specialized equipment. At Santa Rosa Moving & Storage, personal attention always takes precedence, says president Jay Lucas. “We’re a small, family-run company, and we care about our customers,” he says. Customers often find that the company’s “Move Coordinators” know their name and answer all their questions quickly and directly. It even sends out surveys to find out if customers were satisfied and to invite them to submit ideas for improvement. Santa Rosa Moving & Storage is serious about its open communication policy, says Mr. Lucas. Its aim is to deal with minor concerns before they become major problems. He calls the company “paperwork intensive”–good news for its customers, since all records of communications between parties are recorded and quickly accessible. If one employee commits to a schedule or price quote, it’s there in the file for everyone to see. Local moving is done by the hour. For longer moves, the company provides “will-not-exceed” quotes based on a visual inspection of a client’s property, “so you have the assurance of knowing in advance that there won’t be any surprises,” says Mr. Lucas. New hires start in the company’s warehouse, loading and unloading storage containers. After that, they go out with experienced crews for on-the-job training. Remember: A non-visual estimate is virtually worthless, and will usually work against you. 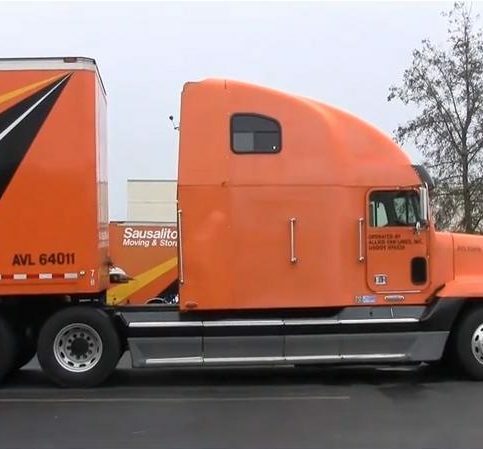 A moving company with integrity rarely gives estimates over the phone, especially for a large job, says Jay Lucas of Santa Rosa Moving & Storage. “Don’t trust companies that do. Usually, the estimate won’t be binding.” Once the company comes to your house and actually views your possessions, they’ll adjust a low estimate upward—but probably not the reverse. For the same reason, Mr. Lucas recommends against booking over the phone or online, because you open yourself up to potential fraud. 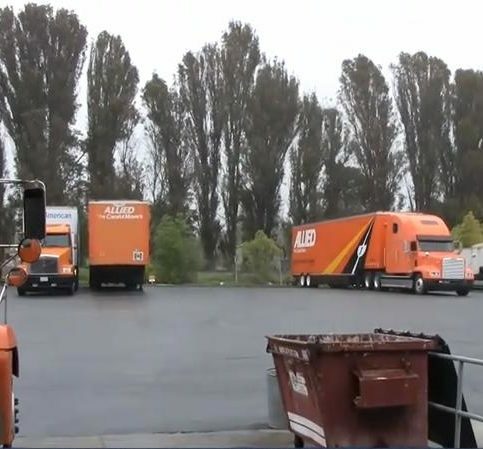 In fact, he says, most complaints fielded by the California Moving and Storage Association regard “rogue movers” who are typically booked online. 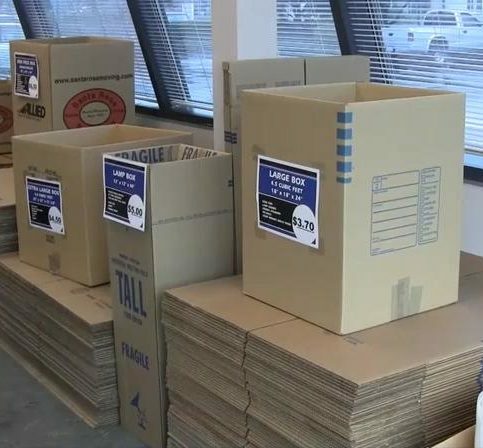 These movers quote a price without seeing the actual goods, unilaterally raise the price once they’ve hauled the goods away, then hold them hostage until the customer pays. It’s also vital that your mover be fully insured and licensed, says Mr. Lucas. He even suggests prospective customers visit a company’s facility to gauge its level of professionalism. “Start your research a month ahead of time, so you can make sure they’re fully licensed and insured, with a physical address. You have to do your homework a little bit,” he says. Below is a Moving Services Dictionary that offers useful terms related to moving. Services such as packing, unpacking, or waiting time that you request to be performed (or are necessary because of landlord requirements or other special circumstances). Charges for these services are in addition to the transportation charges. Q: If I do my own packing, does your insurance still cover me? A: If you pack yourself, you’re generally not covered in the event of damage. If we deliver a box in perfectly good shape but something’s broken inside, the assumption is that you packed it incorrectly. 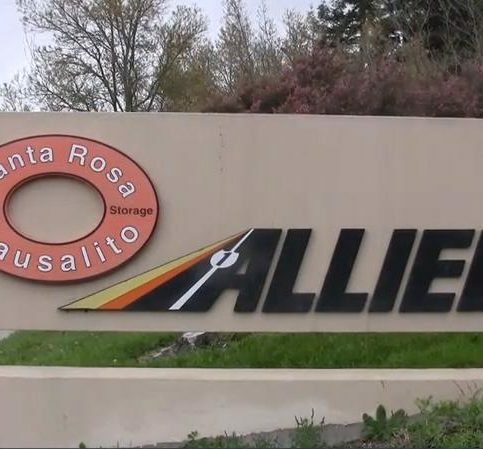 The company we use—Allied Van Lines—won’t take responsibility. When we pack, we take full responsibility for any damage, regardless of the condition of the box. Q: Can I do some of the packing to save money? A: Absolutely. If they want to save money, we encourage people to pack their non-breakables—books, shoes, pots and pans. Q: Can I be there while you pack? A: Sure. We’d like you to observe the moving process, but we ask that you not try to micromanage the move. We are professionals, and know what we’re doing. Our people are specially trained to handle personal goods with care and speed. A: Yes. That’s important, because there are a lot of predatory movers on the Internet that aren’t. Licensed, insured movers have to adhere to a certain set of rules. If the California Public Utilities Commission (PUC) found us in violation of the rules, they’d fine us. But the PUC can’t police unlicensed movers, so they have no incentive to be careful with your possessions. A: Yes. We encourage an onsite visit so we can give you a proper estimate and guarantee the price. Pack outdoor items first and store them in the garage. This step is commonly left until the end, at which point it can feel overwhelming, so consider knocking it out at the beginning. Place any items that aren’t going with the movers in an unused closet or bathroom. This will help prevent confusion on moving day. Organize your electronic cords. The last thing you want is to arrive at your new home and realize you’ve forgotten how to hook up your TV and stereo. Prevent this by clearly labelling your cords and keeping them organized. One helpful trick is to store your cords in old paper towel rolls, which will keep them neatly contained. Diamond Certified Expert Contributor, Jay Lucas: Moving can be very stressful for most families. Hopefully, some of these tips that are coming up will help to alleviate some of that stress. Use easy labeling systems. Colored tape on the sides of boxes to identify rooms or contents is helpful. The movers can place light-colored items in a room without additional instruction. Putting labels on the sides will make them visible when boxes are stacked. Pack up the outdoor items in the garage first. I know this sounds counter-intuitive, but it’s commonly left to the end and can be overwhelming when tackling the job last minute. Items that you will be taking yourself or that do not go with the movers can be put into an unused closet or bathroom. Organize electronic cords. Label them with color codes or stickers. Wrap them or use paper towel roll to hold them together. Following these tips will ultimately save you time and money. 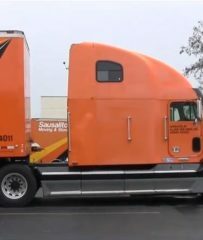 Santa Rosa Moving & Storage : Average 9.0 out of 10 based on 287 unique customer surveys of customer satisfaction. The best moving experience I have ever had. The driver was very communicative and on top of the entire move. The weather was at least one hundred and five degrees, and this man was dedicated to the last box. They were very efficient and able to tackle some very heavy furniture that I did not think they would be able to handle. They came out and got the job done without needing a lot of direction. I thought they were fair and honest. I like that the sales manager Kim came to us and gave us a really fair and honest quote. From email to phone correspondence, her communication skills were excellent. I would not use any other moving company. They were fantastic in recommending options for the best moving price. From the lead coordinator, Kim, all the way to the moving crew, everyone was absolutely fantastic. They did a good job and they didn't break anything. They were on time. I thought they did an excellent job. They didn't lose or break or scuff anything, so I am perfectly satisfied. They met my schedule in the sense that I needed it on a certain time and I needed it back on a certain day. They accommodated my needs very well. They arrived on time, they came in under the estimate, and they were really pleasant. They were very quick. They were easy to work with. They came and gave us an estimate when they said they would. Family members have used them before, which is why I decided to go with them. They are the best and they are the most reasonably priced and I have used everybody in the area. They do what they say they are going to do when they say they are going to do it and they are the only people who do. I thought they were flexible, courteous, helpful, and professional. Their flexibility, and they got the job done right. I had to reschedule them several times, like 3 times and they were very understanding and accommodated my needs. Their professionalism, they came over and scoped out everything. I made a few changes and they accommodated everything. Make sure they bring the garment boxes that they have, which contains hangers. They are professional and they know how to wrap everything. I would recommend that they use them because they were very nice and very good. They were terrific and they didn't gouge me and they didn't try to take advantage of me. They didn't whine and complain.